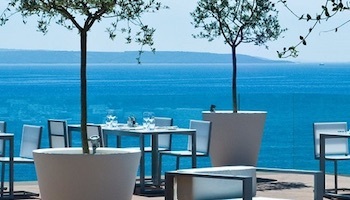 It’s not surprising that travelers are flocking to south Croatia. This area within Dalmatia boasts stunning pebbled beaches, many lovely islands, beautiful mountains, excellent wineries and amazing ancient ruins. 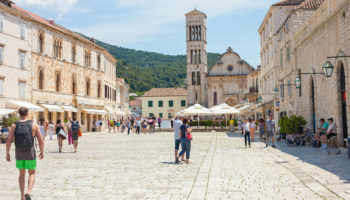 South Croatia has also been drawing in fans of the uber-popular HBO series, “Game of Thrones” since many of the show’s filming sites can be found in Dubrovnik — Croatia’s best known city — as well as the city of Split. Croatia is also an excellent place for active travelers. Cycling, kayaking and sailing are just some of the many popular activities you can enjoy while in beautiful southern Dalmatia. This small town, which is located at the mouth of the Cetina River, has a colorful past. During the 12th and 13th centuries, it was home to notorious pirates who would attack passing ships and then retreat up the river with their prizes. Today, pirates still play a large role in Omis — not as mercenaries, but as tourist experiences. During August, there is a Pirate Festival and all during the summer months, there is a weekly pirate night. Of course, there is more to Omis than just pirates. The area around this town is an active traveler’s paradise. Some of the activities that you can engage in around Omis include windsurfing, rafting, cycling and free climbing. 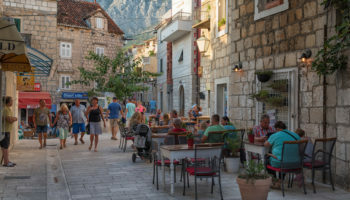 Omis is also home to a number of historical sites, such as the 13th-century Mirabella fortress, and beautiful old churches. Lovely Cavtat, which is located on the wooded Rat peninsula about 45 minutes south from Dubrovnik, has long been a retreat for Croatia’s rich and famous. Today, this charming city is also growing as a tourist destination for non-Croatians, wooing travelers with gorgeous old buildings that date back to the time of the old Dubrovnik Republic as well as the ancient ruins of other settlements. Among the most popular sights in Cavtat is the Church of St. Nicholas, which features works from the town’s most famous painter, Vlaho Bukovac. Cavtat also has a pretty seaside promenade where you can enjoy a bite to eat while admiring the beauty of the clear blue sea. In medieval times, salt was a very important element. And Ston was and is a salt-producing village located on an isthmus that connects mainland Croatia with the Peljesac Peninsula. To protect this small village and its prized salt, construction of an impressive 7-km (4-mile) long wall began in 1333. These medieval walls, which stretch from Ston to the small village of Mali Ston, are actually much longer than those belonging to its more famous neighbor Dubrovnik. They are, in fact, the longest defensive structure in Europe and they are sometimes referred to as the European wall of China. Although the wall once boasted 40 towers, only 20 remain today. The Ston area is also home to oyster beds that are said to produce some of the best tasting oysters in the world. 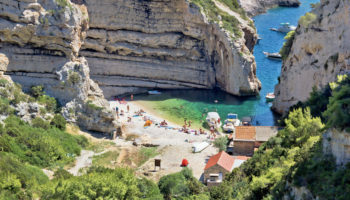 If you prefer an authentic experience over a glitzy one, you’ll want to put Brac on your Croatia itinerary. This island, which is the third largest of the Adriatic islands, boasts some very beautiful stretches of sand. In fact, Brac is home to one of the best known beaches in Croatia, Zlatni Rat, which is located near Bol and extends into the sea like a finger. Brac has also earned a reputation for the excellent olive oils that are produced on this island, so make sure to try at least a little taste before you depart this isle. If you’re searching for sandy beaches in south Croatia, head to the Makarska Rivera. 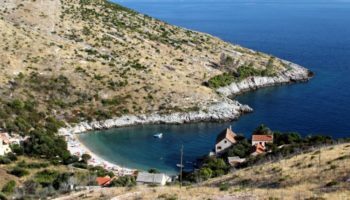 This gorgeous stretch of coastline, which is a popular playground for Europeans, lies between Brela and Gradac and is dotted with both old and new villages. And the Makarska Riviera is also one of the few places in Croatia where you can find sandy beaches in addition to the more common pebbled beaches. The picturesque area is named for its main town, Makarska, which is tucked into a sheltered bay on the Adriatic Sea. Rising dramatically behind Makarska is Mount Biokovo, the second highest mountain in Croatia and a fun place to take a hike or to go mountain biking. Located on a small island, compact Trogir boasts a well-preserved Romanesque-Gothic Old Town. First settled in the 3rd century, Trogir contains many can’t-miss sites, including numerous palaces, a fortress, and the stunning Church of St. Lawrence — in Croatian, Katedrala Sv. Lovre. A climb to the top of this church’s tower will reward you with one of the best views of the surrounding area. And because Trogir’s Old Town is small, it is very walkable. Another popular place for a stroll? Trogir’s wide waterfront promenade. Split is a bustling city, the second largest in Croatia. 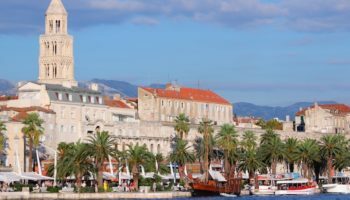 For many years, Split, which is located in central Dalmatia, was mainly known as a transport hub and a great place from which to explore the various islands in the area, including Brac. Today, however, travelers are discovering that this coastal Mediterranean city has a lot to offer. Split’s best-known attraction is Diocletian’s Palace. This large and sprawling complex dates back to Roman times and houses more than 200 homes. Split is also home to the Cathedral of St. Domnius, a beautifully preserved church. 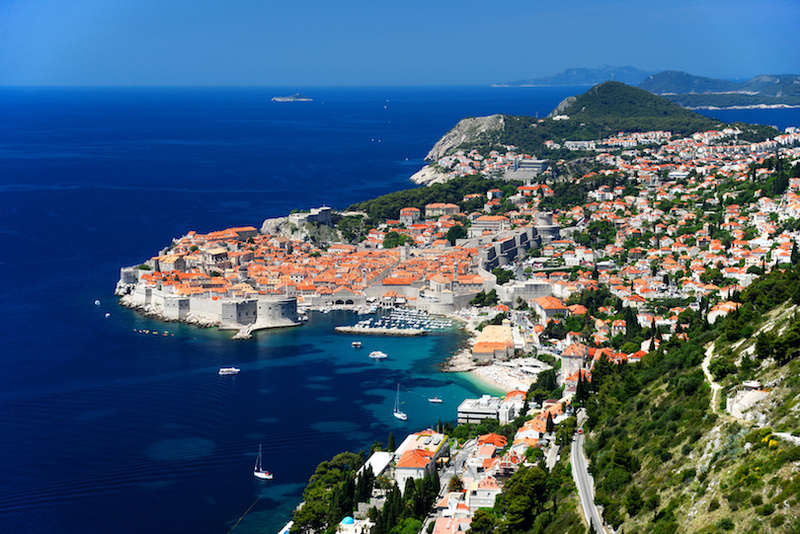 Like Dubrovnik, this gorgeous city has served as a backdrop for the “Game of Thrones” television series. Did you know that Dubrovnik has a baby sister of sorts? If you travel to the island of Korcula and visit the Old Town of the same name, you will discover an enchanting mini version of Dubrovnik, complete with medieval squares and palaces. Some people even refer to Korcula Town as Little Dubrovnik. The long and narrow island, which is covered in dense woods, is also said to be the birthplace to Marco Polo, the famous explorer — although the Italians are apparently unhappy about this claim. Korcula is also known for its exquisite white wines. So if you love a good vino, make sure to check out Korcula’s vineyards so you can sample some of this island’s wonderful wines. You don’t have to be young, rich or famous to enjoy Hvar but, of course, it doesn’t hurt if you want to fit in with this island’s other visitors. Some of the celebrities spotted recently in Hvar include superstars Jay-Z and Beyonce and Prince Harry. 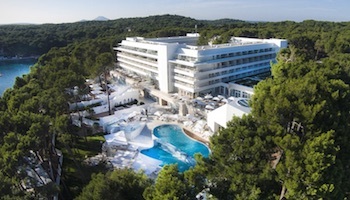 So what is it about Hvar that attracts the mega-rich and the mega-famous? Well, for one thing, Hvar claims to enjoy the most sun of all of Croatia’s islands. Then there’s the island’s capital, Hvar Town, which is famous for its medieval streets and exciting nightlife. But it’s not just a party island. Hvar is also known for its lovely lavender fields, caves and interesting attractions, such as its 16th century fort, Fortica, and a Franciscan Monastery and Museum. Dubrovnik is not Croatia’s capital, nor is it the largest city in the country. But it is, arguably, Croatia’s most famous destination. It is also one of its most gorgeous cities. Known as the Pearl of the Adriatic, this stunning city’s walled Old Town boasts marble streets and is famous for its white buildings crowned by orange roofs. Strolling through Old Town Dubrovnik is a feast for the eyes, as you’ll pass by gorgeous, well-preserved structures from the Gothic, Renaissance and Baroque periods. As if that wasn’t enough beauty to behold, Dubrovnik is also situated on the electric blue Adriatic Sea — a simply stunning backdrop to an already stunning city.